Jens Waernes currently works as Creative Director at Goodby Silverstein and Partners. Together with his partner, Jon Wolanske, he oversees all the work on Comcast/Xfinity, the agency’s biggest account. 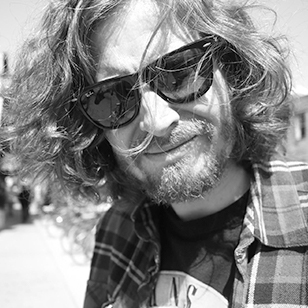 Before moving to California, Jens was Group Creative Director at BBDO New York for six years. During his career, he has worked for DDB Oslo, Scholz & Friends Berlin and Jung von Matt Hamburg. His work has been celebrated with multiple awards at Cannes, D&AD, One Show, Clios, London International, New York Festivals, ADC New York, ADC Germany, ADC Europe, YoungGuns, Epica, and Eurobest. The campaigns he created for Augsburger Allgemeine and Ravensburger were among the most celebrated work in the world. Jens Waernes: Judging is a great opportunity to see what goes on in advertising, globally. Time is always tight, so I try to bend it. I’m a time bender. It’s part of my job. Jens Waernes: MeToo, Trump, North Korea, Alt. Right. Jens Waernes: The winning work should be brilliant, new and relevant. Jens Waernes: Never stop learning. Jens Waernes: Jung von Matt/9 Hamburg, Germany. Though, I would not say that my big break was “given”. It was taken. Jens Waernes: Mom and dad. Paul Malmstrom and Linus Karlsson. Greg Hahn. Be nice and work hard. Jens Waernes: Appetite for Destruction by Guns n’ Roses.